I’ve Lost a Tooth – Should I Consider Dental Implants? Dental implants are by far the best option for replacing a single tooth. If you’re not sure about implants, we encourage you to read some patient experiences. You’ll likely see a lot of people writing about how they can’t tell the difference between their implants and the rest of their teeth in terms of how they feel, function and appear. Single tooth implants are more effective than virtually every other option because they function and look just like real teeth, and when properly cared for will last a lifetime. You will likely have fewer issues with your implant than you will with the living teeth around it. Dental implants themselves are small titanium posts. These posts are surgically implanted in your jaw where the replacement tooth will be placed. The titanium post is given three to six months to fuse with the bone of your jaw before an abutment is installed on top of the post. The crown itself, or the tooth portion of the implant, is attached to this abutment. What Are the Benefits of Single Tooth Dental Implants? Aesthetics – Your smile is an important feature, and being self-conscious about missing teeth can truly be a significant detriment to your quality of life. 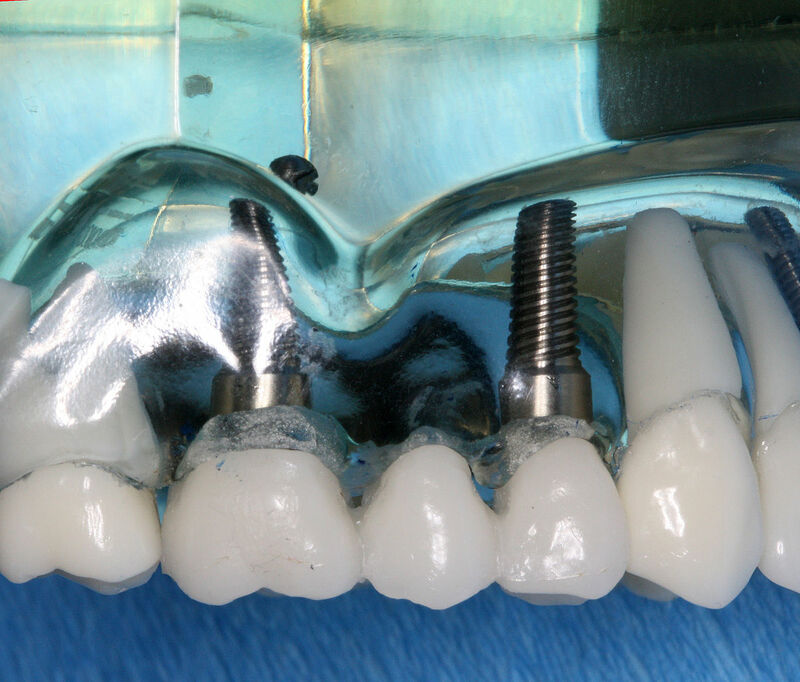 Dental implants with a crown are entirely indiscernible from your actual teeth. The crowns are shaded to match your existing teeth, so it will never be obvious that one or more of your teeth are implants. Eating Is Easier – Missing teeth can make it difficult to eat, and the socket left behind can potentially trap food and cause additional oral health issues. Easy Maintenance and Durability – Dental implants really don’t require any kind of special maintenance once the crown has been placed. Brush and floss them just like your normal teeth and they will hold up for a lifetime. Can Any Dentist Provide Dental Implants? No, and if you are considering dental implants, it’s important to make sure you’re visiting a periodontist. These dental specialists focus on the treatment of periodontal diseases and the placement of dental implants. Every doctor or surgeon at Periodontal Associates is board certified in periodontics. Their decades of combined experience makes Periodontal Associates one of the most qualified practices in Pennsylvania for dental implants. If you would like to learn more about dental implants to determine whether or not you would be a good candidate for the procedure, please contact Periodontal Associates to schedule a consultation.